Growing up in the Greater Puget Sound Area, Sarah is part of a long time family owned business called Puget Sound Express, which brings guests out on the water to view whales and other wildlife. Dating back to the mid 1980’s her family has taken guest’s out on the water through sailing charters, ferry service, fishing expeditions to now whale watching. As one of the oldest whale watching companies in the region, Sarah and her family were among the founding members of Pacific Whale Watch Association and one of the first companies to establish and honor whale watching guidelines in the region. Now as the director of sales and co-owner in the company, she oversees corporate group business, daily operations and public relations of the business. She also serves on the Visit Seattle Partner Roundtable to discuss tourism in the Seattle area generated from conventions, cruise ships and out of town guests. 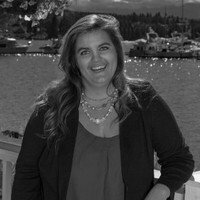 Sarah graduated from Whitworth University in Spokane,WA with a bachelors in business management. Before returning to Puget Sound Express, following college, she worked for The Resort at Port Ludlow building retreat itineraries for corporate business along with planning and staging weddings at the resort. As a native to Washington and the Puget Sound, Sarah feels a strong connection to salmon, whales and other wildlife that call this area home. The science, funding and ability to create change for the local salmon in our area is so vitally important in her field and naturally brought her to serve on the board of LLTK.